What Is a Grateful Dead Tale? Tyme #1: Grounded: The Adventures of Rapunzel by Megan Morrison is released this week in both the US and UK. See Tyme #1: Grounded: The Adventures of Rapunzel (UK Link) . It is obviously Rapunzel inspired but there's some Jack and the Beanstalk thrown in, too. In all of Tyme, from the Redlands to the Grey, no one is as lucky as Rapunzel. She lives in a magic tower that obeys her every wish; she reads wonderful books starring herself as the heroine; her hair is the longest, most glorious thing in the world. And she knows this because Witch tells her so---her beloved Witch, who protects her from evil princes, the dangerous ground under the tower, even unhappy thoughts. Rapunzel can't imagine any other life. Then a thief named Jack climbs into her room to steal one of her enchanted roses. He's the first person Rapunzel's ever met who isn't completely charmed by her (well, the first person she's met at all, really), and he is infuriating-- especially when he hints that Witch isn't telling her the whole truth. Driven by anger at Jack and her own nameless fears, Rapunzel descends to the ground for the first time, and finds a world filled with more peril than Witch promised ... and more beauty, wonder, and adventure than she could have dreamed. 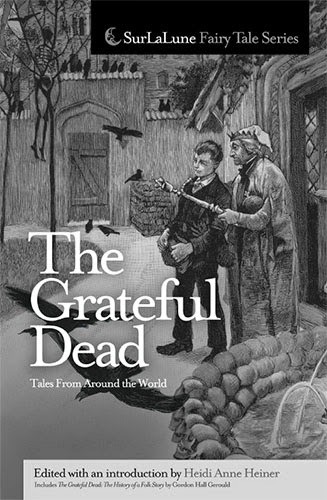 The Grateful Dead Tales From Around the World (SurLaLune Fairy Tale Series) is available for ordering and immediate shipping! Last week I shared Grateful Dead Motifs and Tale Types and today I am going to discuss the ATU 507 tale type. While many people would assume that a tale with a Grateful Dead type would be scary and bloodthirsty, overall that is not true. Except for when one is discussing The Monster's Bride tales. These tales are the ones that started me on this years long journey of Grateful Dead discovery, for the tale type shares qualities also with The Twelve Dancing Princesses. Which is why Twelve Dancing Princesses Tales From Around the World is on sale this week for a dollar, down from its usual $4.99 in ebook format. As you'll see below in the excerpt from my introduction, this tale type contains what is essentially a possessed, evil princess who causes the death of her bridegrooms on their wedding night. They die very badly but each man is willing to take the risk to gain her as a wife and her kingdom. It doesn't go well for any of them until our hero gains advice from a Grateful Dead traveling companion on how to survive the night. This is the one Grateful Dead tale type that would make a fine basis for a horror movie, for it includes a battle of good versus evil, and often an evil sorcerer, man-eating basilisks or dragons, and other horrors. ATU 507 The Monster’s Bride tales begin like the standard ATU 505 tales with a young traveler providing a funeral for a stranger by paying for the corpse’s debts and/or funeral, often using his last resources to do so. Soon afterwards he is joined during his travels by a companion who helps him. They agree to divide all of their increases equally at the end of a period of time. At this point, the tale type diverges into two different main parts that were previously divided into AT 507A, AT 507B, and AT 507C. In the first version, formerly AT 507A The Monster’s Bride, the dead man helps the hero aquire magic objects along their journey, usually from three giants. The hero then passes tests set forth by the princess to win her hand, although she is infatuated with a monster, usually an evil magician, ogre, or devil. The grateful dead man succeeds in killing the monster that controls the princess and purges the power that still ensorcels her with either a beating, burning, bathing or combination of these of either the evil magician or the princess herself. In the second version, formerly AT 507B and AT 507C, all of the princess’s previous bridegrooms have perished during their wedding night. The grateful dead man counsels the hero to marry her anyway. During the wedding night, a serpent or dragon enters the bridal chamber to kill the hero. In some variants (AT 507C), the serpent actually emerges from the princess’s mouth. The grateful dead man enters their chamber and kills the serpent. Often he cuts the princess in two to remove the serpent or its enchantment upon her, thus saving her life, too, for she is resurrected from this violence. These ATU 507 tales often include a division of spoils up to the physical dividing of the princess to test the hero’s honor. The hero begs for the lives of his wife and his children, if there has been issue from his marriage, offering all of his riches to the companion in exchange for their lives. Once he passes the test by showing his willingness to equally divide all of his gains, albeit very reluctantly, the grateful dead man reveals himself and gives all to the hero. Also, for readers interested in other popular tale types, primarily ATU 507, as well as some variants of ATU 505, are closely related to ATU 306 The Danced-out Shoes, more familiarly known as The Twelve Dancing Princesses. A previous SurLaLune anthology—Twelve Dancing Princesses Tales From Around the World (2011)—offered several ATU 507 tales closely related to ATU 306 that also appear in the present collection. Please consult the earlier book for further discussion of ATU 306 tales. An example of ATU 507 can be read online on D. L. Ashliman's site at Sila Tsarevich and Ivashka with the White Smock. As you can guess from the title, the tale is from Russia. For one week only, Twelve Dancing Princesses Tales From Around the World is on sale in ebook format for $.99. It is usually $4.99. This is the book that started me on my journey to The Grateful Dead Tales From Around the World (SurLaLune Fairy Tale Series) for it, too, contains some stories with Grateful Dead motifs. I will be discussing that a little later today as I continue my posts about The Grateful Dead Tales From Around the World (SurLaLune Fairy Tale Series) . The Twelve Dancing Princesses is a fairy tale known under several names such as "The Dancing Shoes," "The Worn-out Shoes," and "The Shoes that Were Danced to Pieces." The best known version of the tale comes from the Brothers Grimm and yet the tale remains relatively obscure in comparison to tales such as Cinderella, Sleeping Beauty and Rapunzel. However, it has been a popular favorite with fairy tale readers for decades, appearing in countless collections of tales, but rarely studied. In recent years, many books and even a toy collection, a movie and a musical have used the story as inspiration. This collection offers over twenty variants of The Twelve Dancing Princesses, some that are new English translations. In addition, several Grateful Dead tales and Greek myths are presented as interesting comparisons to the tale. Sometimes the princesses journey to a version of hell, at other times they visit a version of heaven. Many of the stories are obviously related to each other and at times the relationship is tenuous. Some additional stories with similar motifs or elements are also included, illustrating that the elements of this tale are not as obscure as they first appear. In the over fifty tales collected here, strange journeys are made, secrets are revealed, and curses are broken. Most-but not all-of the heroes and heroines live happily ever after. Either way, the journeys and the mysteries they solve provide fascinating visits to other realms. Whether you are a student of folklore or an armchair enthusiast, this anthology offers a diverse array of tales with a unifying theme that both entertains and educates, all gathered for the first time in one helpful collection. The Girl at Midnight by Melissa Grey is released this week in both the US and UK (see The Girl at Midnight: UK Link ). This one is more unusual, drawing inspiration from tales of the Firebird. I really like the US cover this time. Grimmtastic Girls #6: Goldilocks Breaks In by Joan Holub and Suzanne Williams is released this week in the US and UK. See Grimmtastic Girls #6: Goldilocks Breaks In (UK Link) . Okay, this one is just disturbing in a not so good way. And then a little funny. But I can't consider frogs for food ever since seeing The Muppet Movie at an impressionable age. Didn't happen to me with Charlotte's Web and pigs. But, The Muppet Movie insured I would never want to eat frog legs. I love Kermit. It's a multi-level campaign where the models are artists, actors, performers or normale people. Their stories are told on the web site and on the MaGasine, a catalogue with the stories and experiences of those young guys. The advert shows how everyday situations can be turned in particular and ethical actions with a sharp head line. River Secrets (Books of Bayern Book 3) by Shannon Hale is on sale TODAY ONLY for $1.99 in ebook format. This is part of Hale's Goose Girl series although this title itself doesn't reinterpret a specific fairy tale. The book is usually in the $7.99 price range. From Newbery Honor winner Shannon Hale, the third book of Bayern doesn't disappoint. With subtle, timely undertones about peacekeeping, this is the story of the young warrior, Razo, who goes with a Bayern delegation to keep the peace with neighboring country, Tira. Characters from the previous books, Isi, Enna and Finn play major roles in Razo's coming of age, as Razo grows into a spy and a warrior and learns to value himself as both. Yesterday I provided the short answer to the question, "So what is a Grateful Dead tale?" Today I provide the beginning of a longer answer. Here is another excerpt from my introduction to The Grateful Dead Tales From Around the World. E341.1. Dead grateful for having corpse ransomed. Corpse is being held unburied because of nonpayment of debts. Hero pays debt and secures burial of corpse. E341.1.1. Dead grateful for having been spared indignity to corpse. Kind man has given it burial. E341.2. Dead grateful for food. E341.3. Dead grateful for prayers. E341.4. Dead grateful for clothes (shirt). E341.5. Grateful priest returns to save gambler from devil. In 1910, folklorist Antti Aarne created a system to classify types of Scandinavian folktales and published it with the title, Verzeichnis der Märchentypen (Index of Folktale Types). Stith Thompson later adapted the system in 1928 and again in 1961 with the title, The Types of the Folktale: A Classification and Bibliography which also incorporated the motif system he had developed in his Motif Index of Folk Literature. Although other folklore classification systems exist, this system has become the most widely used in folklore scholarship despite its flaws, especially its European-centric limitations. Tale types are designated in this system with the AT designation followed by a classification number, such as AT 505. The greatest difference between the two systems is that AT 505-508 is no longer designated as the Grateful Dead grouping with many of the previous tale types folded into the ATU 505 type. The table of Gerould’s tales and their tale types offered in this book’s end matter uses a blend of the AT and ATU systems to produce a more intricate breakdown of the different themes offered in Grateful Dead tales. Uther’s updated system is generally more logical for folklore studies as a whole, but it removes the nuances of some of the Grateful Dead AT tale types by combining them, making it more difficult for the scholar intent on examining the different themes that are found in Grateful Dead tales. So what is a Grateful Dead tale? Today I provide the short answer. Here are the first few paragraphs of my introduction to The Grateful Dead Tales From Around the World. The rest of the introduction, and the entire book for that matter, provides the long answer. THE Grateful Dead family of folktales has a captivating history. In the 21st century, the tale has virtually disappeared from popular consciousness, only kept on the fringes by the merits of sharing its name with a legendary band with a waning audience. Even that pop culture influence has prevented all but the most folklore-minded readers from realizing that the Grateful Dead is a collection of story elements with a history dating back a few millennia. It is safe to state that the tale’s plot used to be much better known and more easily recognized in the popular cultures of centuries past. Generally, the story tells of a traveler who happens upon a corpse during his journeys. Usually the corpse remains unburied due to unpaid debts. The traveler pays off the dead man’s debts and/or pays for his burial, often with the last of his own meager funds. Although he is now destitute, the traveler continues his adventures and soon acquires a traveling companion in either human or animal form. The companion aids the traveler in some way. As a result, the traveler prospers and usually marries well. The companion later reveals that he is the soul of the long ago buried corpse and all debts between the two for services rendered have been paid by the traveler’s earliest sacrifices in providing a decent burial for the grateful dead man. One of the challenges when summarizing the tale is the lack of a touchstone version as well as the wide range of motifs found across variants. There are hundreds of variants of the above described tale, but not a single one stands out in modern public awareness. The best known version today could be considered “The Traveling Companion” by Hans Christian Andersen, by virtue of Andersen’s continued popularity, although it is not one of his most recognized tales. While Andersen invented several of his most popular tales, he also borrowed from traditional folklore for many of his stories. The Grateful Dead folklore tradition directly informed his “The Traveling Companion,” which is included in many compilations of Andersen’s tales. 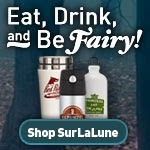 Once again, The Grateful Dead Tales From Around the World--the 10th SurLaLune Fairy Tale Series release!-- will be officially released on 5/4/15. Any links I include may not be working yet, but they will be by then. Today I am sharing the Table of Contents for the book. The book is 828 pages and stuffed full with Grateful Dead tales, discussions, and other miscellanea. Tomorrow I will start discussing the tale, starting with just what it is! I didn't know much when I started this project but now I know enough to be dangerously boring at a dinner party. But I will try to be interesting and brief instead. And, really, I don't think I've ever been boring at a dinner party. Just offer up the history of Sleeping Beauty variants--if you are in the right company--and you'll have people disturbed and talking for a good portion of the evening. Grateful Dead isn't as disturbing, but it is fascinating. Elodie, the dragon detective Meenore, and the kindly ogre Count Jonty Um are all on their way to Elodie's home island of Lahnt. Elodie has barely set foot on land before she learns that the Replica, a statue that keeps her island's deadly volcano from erupting, has been stolen! If the Replica isn't found in three days, a mountain will be destroyed. And when Elodie ends up alone with a cast of characters each of whom may be guilty, she has to use her wits to try to unravel a tangled web of lies. New York Times bestselling author Gail Carson Levine has written an imaginative, fast-paced mystery that will be enjoyed by fans of A Tale of Two Castles as well as those meeting Elodie, Meenore, and Count Jonty Um for the first time. Some fairy tale comics today from Tundra Comics. The Hansel and Gretel one above is by far my favorite of the three. How about you? Fun going there. Fun coming back. Okay, this is amusing and a little disturbing. But all in fun. Reminds me of the old Ralph Wolf and Sam Sheepdog Looney Tunes cartoons where the characters clock in and out for the day. Always loved those. So does John the Hubby. The Grateful Dead Tales From Around the World--the 10th SurLaLune Fairy Tale Series release!-- will be officially released on 5/4/15. Any links I include may not be working yet, but they will be by then. The ebook may be a little later, I'm not sure yet if it will be available simultaneously. This is the front cover and I have the book description below. The book is 828 pages and stuffed full with Grateful Dead tales, discussions, and other miscellanea. Next week and in the weeks that follow, I will be posting quite a bit about The Grateful Dead folklore and all of its varieties. I always hope to whet your appetite to learn more, not bore you, so stay tuned and see if I manage that feat with this lesser known tale. I will keep the posts shortish so they won't be much to read in little bites. The Grateful Dead folktale type can be traced back at least 2,000 years. The tales of earthly rewards received for providing decent burial to the dead are both didactical and entertaining, with some of the earliest examples appearing in scripture and mythology. In modern times where laws heavily regulate burial practices, the tales have lost much of their social impact, but they still provide entertaining insight into past times. In 1908, Gordon Hall Gerould wrote a monograph—The Grateful Dead: The History of a Folk Story—in which he discussed over 100 variants of the tale, a remarkable and diverse piece of scholarship that has received higher recognition in recent years. The full text of Gerould’s work is provided in this volume. This collection also includes over 45 folktales and ballads with Grateful Dead motifs. Other pieces of scholarship and miscellanea are offered, too, including an English translation of The History of Oliver and Arthur, a fifteenth century French romance. When combined in one convenient volume, these materials provide a fascinating overview of an often neglected folktale type for both the formal scholar and armchair enthusiast. Jupiter Ascending (Blu-ray 3D + Blu-ray + DVD +UltraViolet Combo Pack) is now available for preorder for those who are curious about the film. I like to preorder because I often win on pricing that way when random drops take the price lower. Gypsy over at Fairy Tale News did such a great job covering this film--for years until its final release!--that I didn't think to add anything about it here. I haven't seen it yet but I am curious. Science fiction is a love of mine and this film fascinates in theory but I am still cautious. But I plan to see it this summer when it is released to DVD. I have little interest in seeing most films in the theatre any more. And DVDs are so much more fun with the opportunities to watch extras and such in the comfort of my own home. I am also curious about the Snow White elements to the story and how much they survived. Did anyone else see this and enjoy it? I know John my Beloved will be happy to watch it with me.